A combination of memoir, contemporary reporting, and historical research, presenting a unique profile of China's legendary northeast territory. In the tradition of In Patagonia and Great Plains, Michael Meyer's In Manchuria is a scintillating combination of memoir, contemporary reporting, and historical research, presenting a unique profile of China's legendary northeast territory. For three years, Meyer rented a home in the rice-farming community of Wasteland, hometown to his wife's family, and their personal saga mirrors the tremendous change most of rural China is undergoing, in the form of a privately held rice company that has built new roads, introduced organic farming, and constructed high-rise apartments into which farmers can move in exchange for their land rights. Once a commune, Wasteland is now a company town, a phenomenon happening across China that Meyer documents for the first time; indeed, not since Pearl Buck wrote The Good Earth has anyone brought rural China to life as Meyer has here. Amplifying the story of family and Wasteland, Meyer takes us on a journey across Manchuria's past, a history that explains much about contemporary China - from the fall of the last emperor to Japanese occupation and Communist victory. Through vivid local characters, Meyer illuminates the remnants of the imperial Willow Palisade, Russian and Japanese colonial cities and railways, and the POW camp into which a young American sergeant parachuted to free survivors of the Bataan Death March. In Manchuria is a rich and original chronicle of contemporary China and its people. For the first half of the twentieth century, Manchuria was the prize in battles between China, Japan, and Russia. Brokering the end of one war earned President Theodore Roosevelt the Nobel Peace Prize but gave Japan control of much of Manchuria's railroadChina's longest and most lucrative linking its mineral-rich heartland to Pacific Ocean ports. Russia had failed to yoke Manchuria to eastern Siberia; Japan tried shaping it into the toehold for its imperial dream of the "Greater East Asia Co-Prosperity Sphere." ...this is a remarkable piece of reporting supplemented with pictures - a snapshot of China at a particular place and time, and the peeks into Manchuria’s history will serve as solid ground for further research. (Reviewed by Poornima Apte). Delightful character sketches and casual but sharp-eyed reporting ... Meyer's entertaining mix of memoir, travelogue, and sociology yields a rich, insightful view of China in transition. Meyer largely succeeds in his attempt to make the complex history and future of northeastern China accessible to a Western audience. This work will appeal to those interested in travel narratives, Chinese culture and history, and the changing global landscape. Starred Review. 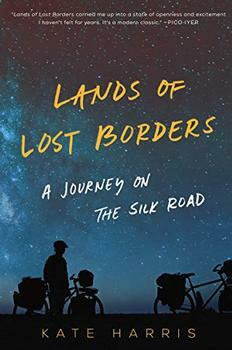 A satisfying, elegant personal journey in China's fabled Northeast ... A work of enormous heart as well as research. A brilliant (and witty) reporter and writer, Meyer notices everything and deftly threads history, politics, people, and the rich textures of daily life in the country's remote Northeast into a drama of change and loss, as Eastern Fortune Rice, a large government-sponsored business, turns a quiet village of farmers into a 'modern' company town. Michael Meyer takes a faraway village and creates from it a whole world ... With an emotional understanding ignited by love and sharpened through long connection, Meyer combines incredible stories from Manchuria's past with here-and-now reporting, and in doing so, captures the brilliant tangle that is the new China. Michael Meyer threw himself into China's fast-disappearing village culture that foreigners virtually never get to see. He has brought it to life with zest, humor and insatiable curiosity, in one of the most unusual and satisfying works on China I've read. Over the past twenty years, writers have focused on the boom of urban China - overlooking the fact that today most Chinese still have ties to the countryside. Meyer's heartfelt book helps us remember. As Michael Meyer's book, In Manchuria, explains, in the village of Wasteland, "Eastern Fortune is offering apartments in exchange for farmers' homes, which will be razed and the land converted to paddies." It remains unclear exactly how much  if any  control the farmers will have over their plots of land. Will they be allowed to cultivate it under the auspices of the larger company or will they now be employees of Eastern Fortune merely executing the company's directions for the land for a fixed salary?